Corpus Christi, Texas, incorporated in 1852, is just southeast of the mouth of the Nueces River. It is the port of Corpus Christi Bay and is the seat of Nueces County, though some parts of the city are in Kleberg and San Patricio counties. It has a landlocked harbor connected to the Gulf of Mexico by Aransas Pass, a break in the string of low sand islands stretching along much of the state's coast. Smaller vessels ply the Intracoastal Waterway between the islands and the mainland. Here are some pictures I took in Corpus Christi and at The Padre Island National Seashore, I hope you enjoy them as much as I enjoyed taking them. 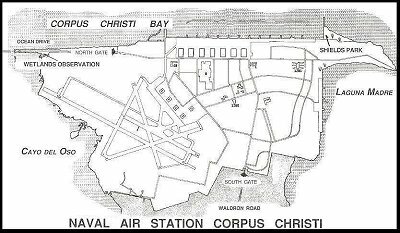 The Naval Air Station is situated on Corpus Christi Bay, in the Coastal Bend area of Texas, one of the most productive bird habitats in North America. 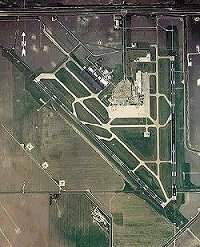 This installation consists of four main land areas totaling 4700 acres: the main Air Station and support facilities; two outlying landing fields, Cabaniss and Waldron; and Peary Place Transmitter Site. The city is a major shipping point and an important center of petroleum and natural-gas processing, the hub of a region with thousands of producing wells. Other manufactures include primary and fabricated metals, electronic equipment, and processed agricultural goods. Aircraft repair and maintenance and commercial fishing are also important industries. The city has many demographic groups, ethnicities and sub-cultures, each giving it a distinct flavor: the defense bases and the people who work there; the large Hispanic community; the oil related professionals and workers; the cowboy culture; and the surfers are what makes Corpus Christi a really great place to live or too visit.